The National Executive Committee (NEC) of the New Patriotic Party (NPP) on Friday upheld the decision of the Vetting Committee (VC) not to allow Captain Nkrabeah Effah-Darteh (rtd), to contest the Presidential slot of the party slated for Saturday December 22. This was the outcome of a meeting held by NEC on an appeal brought before it by Capt. Effah-Darteh against his disqualification when he appeared before the VC on November 28 and 30 for vetting, and read at a Press Conference in Accra.The statement read by Mr. Peter Mac Manu, National Chairman of the party said having gone through his submissions, including statutory declarations, NEC found out that Capt Effah-Darteh misled the VC on the charges preferred against him. Mr Manu said the Committee found Capt. Effah-Darteh's appeal as being unmeritorious, and therefore endorsed VC's decision of disqualifying him as a Presidential material for the NPP.Giving the background of the incident which bordered on his conviction, the National Chairman said when Capt. Effah-Darteh appeared before the VC, it was detected that he failed to answer one critical paragraph on the form, which required him to indicate whether he had ever been convicted of any criminal offence. Mr Manu said Capt. Effah-Darteh could not offer any tangible explanation as to why he left that portion blank, and so when further pushed to the wall, he for the first time admitted having been convicted of a criminal offence, adding that, he was charged with two counts of mutiny and misconduct.The National Chairman indicated that Capt. Effah-Darteh told the VC that he was acquitted and discharged on the count of mutiny, but was convicted on misconduct and accordingly sentenced to dismissal from the Ghana Army Forces with disgrace in addition to 23 months' imprisonment. Mr Manu said while the former young army officer was serving his sentence pronounced on May 31, 1981, the December 31 coup took place, and he was released from prison and granted pardon by the then Chairman of the Provisional National Defence Council.The National Chairman said Capt. Effah-Darteh, having failed to provide the VC with proof of his pardon, was given 24 hours to furnish it with information on the matter.Mr Manu said when Capt. Effah-Darteh could not convince the VC on November 30, it recommended that he should be disqualified from contesting the Presidential slot.He said in view of the lack of candour in dealing with the VC, NEC applied to the military authorities for records of the trial of Capt Effah-Darteh, who was court-marshalled on April 14, 1981. The National Chairman said from the military records, it came to light that the former army officer was tried on four, instead of two counts as he previously alleged, and found guilty on three of them. Mr Manu indicated that he was sentenced to dismissal from the GAF, and 23 months' jail term, but following the December 31, 1981 military take-over, captain's sentence was mitigated by the then military government as a result of which he was honourably released from the GAF with effect from August 14, 1981.He said as part of the conditions for his release, Capt. 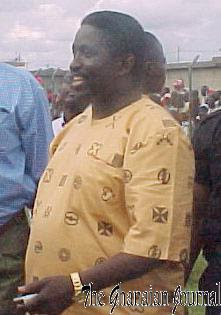 Effah-Darteh was expressly prohibited from using his rank of Captain in civil life, and had to be warned in writing by the military secretary on July 19, 1994 from using the military rank when it was detected that he was still was using it in civil life to the prohibition.Mr Manu said, NEC had no doubt from the nature of the charges preferred against Captain Effah-Darteh, that all those offences bordered on the security of the state.For that reason, the National Chairman said, Capt Effah-Darteh was being disqualified from becoming President of Ghana, whether he had been granted a free pardon or not, and however long the passage of time, since his conviction. The NEC, he said, accordingly endorsed the earlier decision by VC to disqualify Capt. Effah-Darteh from contesting the flagbearship race of the party on December 22.As to whether the money he paid as contesting fee would be refunded to him, Mr Manu said it was a matter that would be considered at a different and another forum if Capt. Effah-Darteh applied for it.